All United Auctions NSW Auction are now available simulcast. We broadcast our Tuesday auction from 1:30pm and Friday morning auction starts between 10.00am and 10:30am. Please refer to the catalogue for start times. Members of the Public are welcome to bid on our Simulcast auctions. There are no Simulcast Auctions available at this time. Catalogues are normally listed on the morning of the Simulcast. You should be aware that there is no statutory warranty given by the auctioneer for a car bought at auction. Why is this ? The auctioneer is selling on behalf of the owner of the car and is not responsible for the condition of the car. The auctioneer prepares an inspection sheet but does not carry out a full mechanical check. You should take the opportunity to inspect the cars yourself before you bid at our auctions. Our auction is open 6 days a week and you are welcome to visit us and inspect the cars. 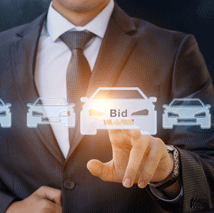 United Auctions NSW guarantees the title of all cars sold at auction. This is because many finance companies who consign repossessed cars to auctions will not release their lien (or REVS) on the car until they have been paid. 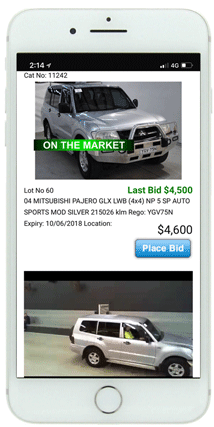 If you are the highest bidder and the auctioneer says ‘Submit’ or ‘Referred’ your bid is below reserve and we will then contact the owner of the vehicle. A representative from United Auctions NSW will contact you and negotiate a price on your behalf with the owner of the vehicle. When you have successfully bid and paid a deposit, a UAA representative will contact you to organise a time for you to collect the vehicle. Unless otherwise stated, vehicles can be collected from our premises at 254 Hannell Street, Maryville NSW 2293. Yes, provided that payment in full has been received. We have a fleet of our own trucks and we also use contractors. Please contact us on 02 4967 9400 to make an arrangement.